It should bring better nighttime images to camera users. Switching on color nightvision is easy and will give you a better picture from your Ring camera. The feature was recently rolled out to all wired cameras in its range, and it will soon be available on battery-powered cameras as well, the company said. The color night vision setting in the Ring app. 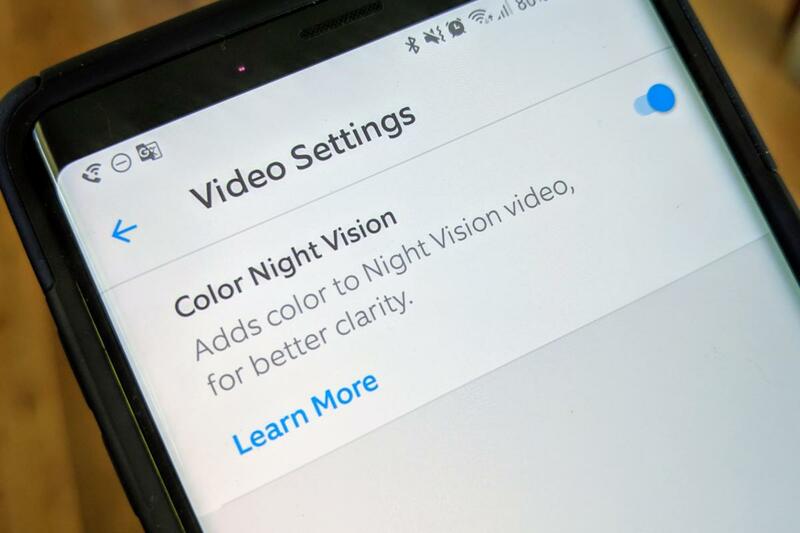 The color night vision feature can be enabled in the Ring app. If it's not available in your camera, wait a few days for an automatic firmware update. The difference it makes depends on what your camera is looking at and how bright it is outdoors. In my case, the difference was noticeable. I think the color image is more pleasing, but it's not a huge difference. Here's a shot with night vision switched on (top) and switched off. It might have been more striking if the car in the foreground wasn't white. A Ring camera image with color night vision disabled. A Ring camera image with color night vision enabled.